Beautiful women modeling beautiful clothing! Love this post! I love all of these ladies—it’s so refreshing to have women our age showing that style doesn’t have to leave us as we get older!!! Thanks for including me in this great post!! Cathy, how clever of you to create your own fashion week. I love it! Thank you for including me with such fashionable women. Where did Glenda Jackson get that jacket? Love it. Hi Susan! I’m Glenda Harrison. Here is the link to the post. I have the location of the jacket listed. Happy Shopping! it’s lovely to see all these fabulous ladies here. I really enjoyed this post . I love these looks. 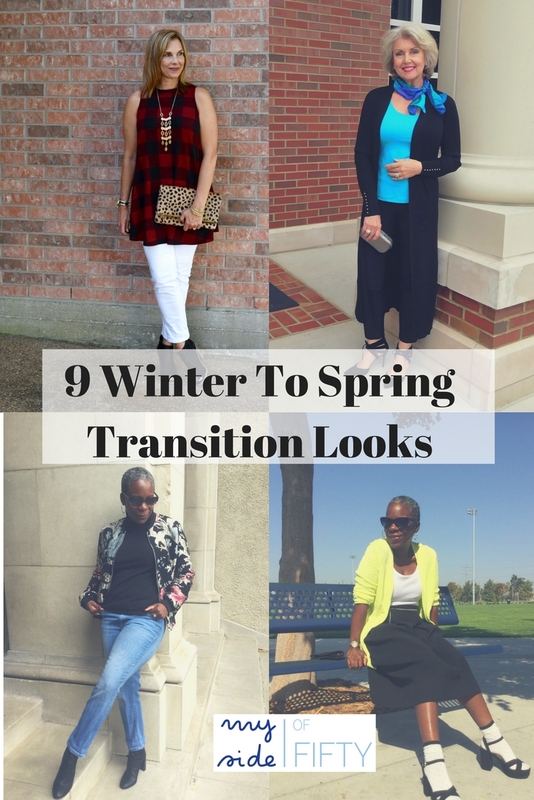 It just needs to cool down a little bit so I can copy some of these looks. Debra, I hear you! I live in Texas and am still wearing shorts! Thanks for reading and commenting! What a great post! 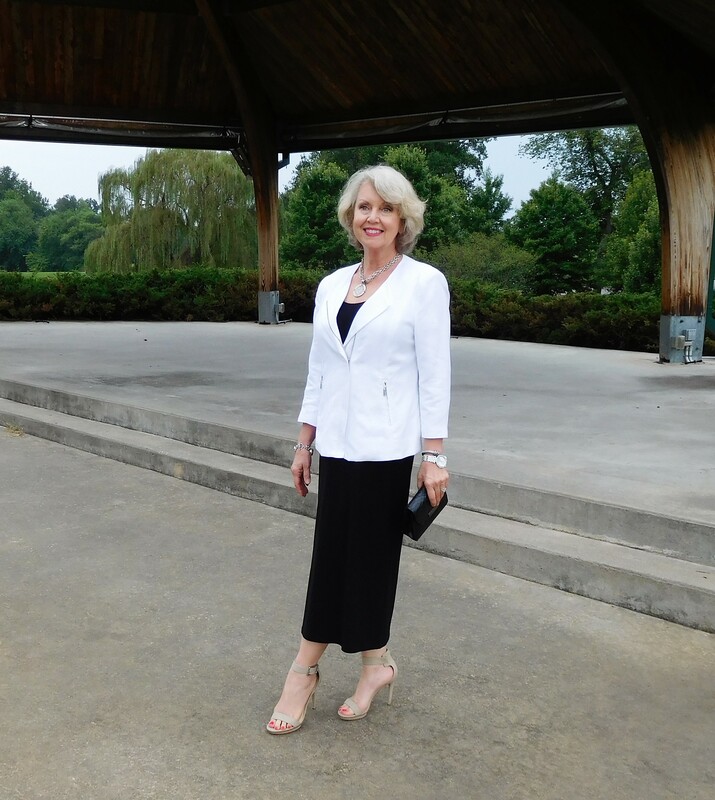 I am 66, and I love seeing the fashionable ladies in your photos. Kudos to you! We are NOT invisible! Amen – gorgeous group of ladies. They are inspiring. Thanks for reading and commenting, Mimi! Cathy we have got to have a meet up some day…just too close not to!! Your sweet words just made me smile so big this morning! Oh how I only hope I can look as beautiful in my 60’s as Susan. wow!! Isn’t she just gorgeous! Thanks so much for being a part of the post again. Everyone LOVES your looks! Next time I drive to Austin to see my daughter, maybe I can run by CS and we can grab a cup of coffee. Or if you come, this way, let me know. Would love to meet you in person! Michelle – so glad you liked the looks! I love all of them! Fabulous looks! Gorgeous bloggers! Love the chambray shirt! And I love how they’ve made it easy to mix and match. Thank you for a delightful post, Cathy! So glad you liked it Vidya. I’ve ordered a Chambray Shirt – such a great year round piece! Cute outfits! I really loved the Chambray Shirt layered with an orange tunic. Wasn’t that cute! I never would have thought to put that together. I just ordered a Chambray shirt from Talbots! Some great looks here. It’s still so hot where I live, I am loving all the open-toe shoes. I feel ya! I’m in Texas and it’s still shorts weather here. Glad you liked the looks! Love it! Guess who needs to go shopping! I know – aren’t they inspiring? Thanks for all the great ideas! I never know what to wear this time of year. In NJ it’s already in the 50’s and I haven’t changed my closets around. These ladies look fabulous! (I wish I could still wear heels. It’s flats all the way…) Great post! So glad you liked the looks, Cathy! Thanks for reading and commenting! Wow! I want to be Susan when I am 60!!! It’s actually still warm in NE Oklahoma also. Love the white pants and red plaid top. Updates the pants for fall, but not dying in the heat. Laura – we all want to be Susan! I’m in Texas and it’s still hot here too. Shelly – who wore the white pants and red plaid shirt is also a Texas girl. We know what it’s like to be in the 90’s in September! Brenda, Shelly is awesome. Great sense of fashion. She lives in College Station and works for A & M.
Fabulous fall looks! Everyone looks fantastic! Great post! I thought so too, Andrea! such gorgeous women – each owning their own age and their own style – such great role models compared to the skinny little high fashion ones we have paraded under our noses by the media. Good point, Leanne. They are great role models. Beautiful in every way. What a way to begin my first morning in Santa Fe! I love all the bloggers and their picks. Shelley’s color combo rocks my world and Glenda is always fashion forward. But I got ideas from each of the bloggers. Lovely. So glad you liked all the looks, Carol. These ladies are lovely and I get so many great ideas from them. How fun are these outfits and bloggers! So different in their style choices, but fun and put together. I think I am a mix of all of them. 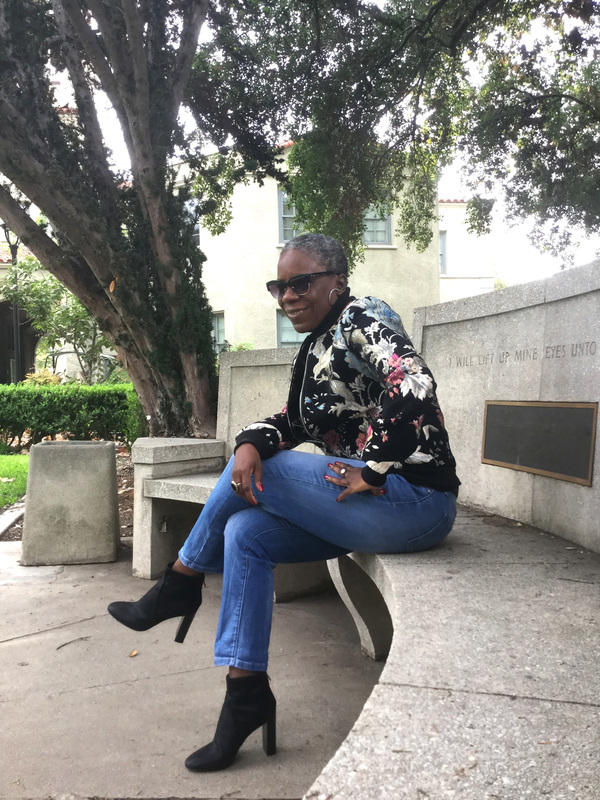 I like to wear jeans and can see the tops and sweaters or jackets working for me. And I think I need to get some buffalo checks into my wardrobe and some booties! Thanks for the great suggestions to help me shake it up a bit this seson! I learn something from each and everyone one of them. They inspire me to “mix it up” a bit with what I already have! So much fun and such great ideas. Confidence is the best accessory! Loved the post! I agree, Tammy! Confidence makes all the difference. So glad you liked the post. 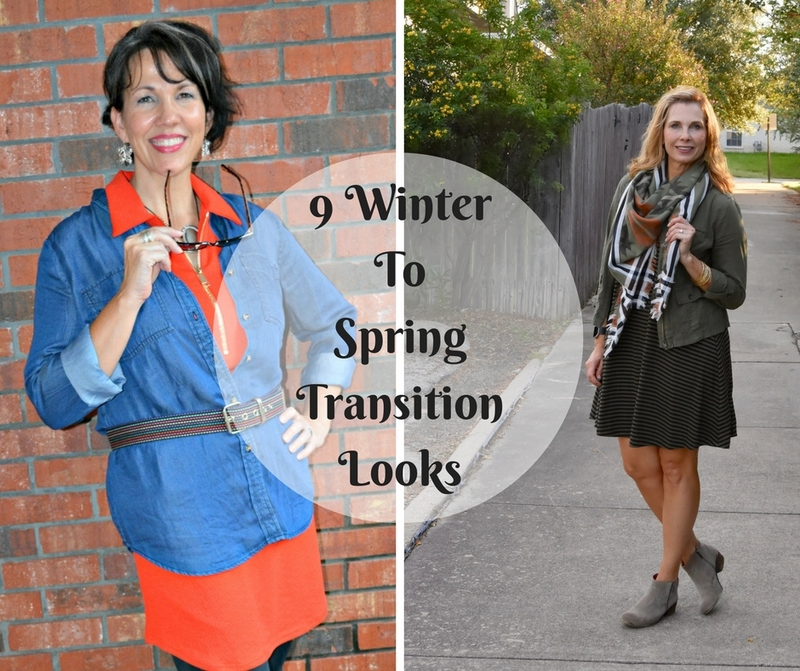 Love all of these ladies rocking midlife and style. Great series Cathy. Thanks, Sue! I love their looks. I am so happy to see the white pants for fall! I love all the looks but I definitely don’t have the confidence to wear socks with my sandals. I wish I did because my feet are always so cold! I just bought a pair of winter white jeans for the fall. Lovely! 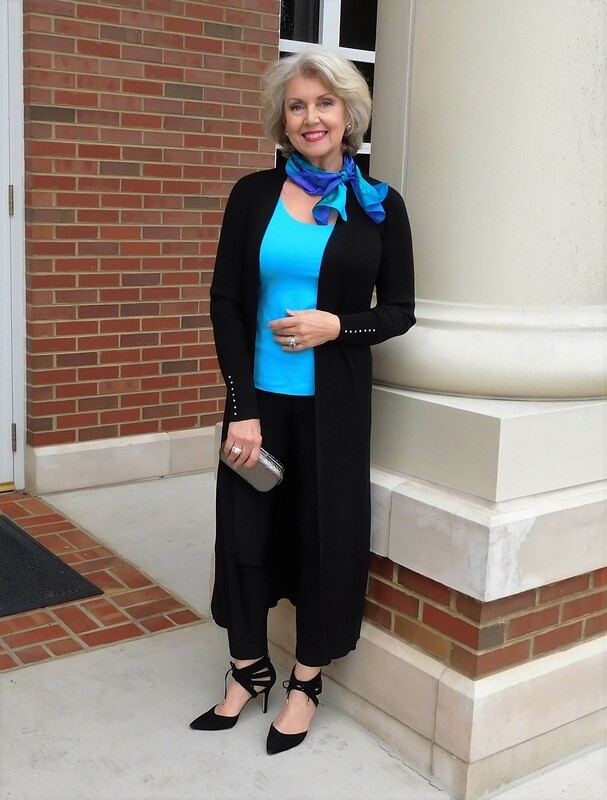 I have been taking much more care with my clothes lately, Chicos has been giving me style! I love Chicos! Great fit & quality! I am a confirmed wear what I want kinda person, and it is nice to see women discovering and sharing their own confidence through clothing and attitude. And they absolutely do – each with their own style. I just found 3 new fashion bloggers who are great! (Two named Shelley…what a coincidence!) I was already aware of Susan, she is so elegant. Susan is just gorgeous. And the other 3 are favorites. Glad you found some new ones to follow. 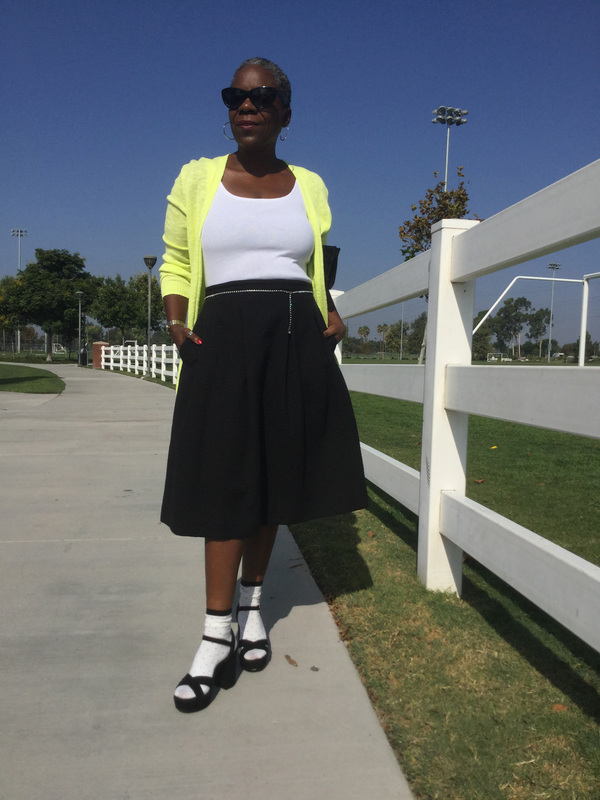 It’s nice to see fashion bloggers for the mature ladies. So really great looks. I love all of them. They have so many great ideas to keep us looking stylish, no matter what our age. Julie – I agree. They are lovely! Great trends and fashion! i found a couple of new bloggers to check out! Great – all of these bloggers are great to follow. I’m glad you liked their looks! Visiting from the Blogger’s Pit stop! – found a few new blogs to follow too!! thanks for sharing the post! Helen – thanks for reading and commenting! Cute outfit ideas. I will have to show my Mom as well! Amanda – so glad you liked them. These ladies are fabulous! I agree – and Shellie styled it so well – in a way I never would have thought of! Cathy, this post was among the most clicked on the Bloggers Pit Stop. Be looking for a feature on Friday. Well done. So honored to be featured. Thanks, Kathleen! Sara – yes – Glenda really pulls off that sock look. She doesn’t care what people think. She dresses in the way she wants to and looks fabulous. I like studying the different looks and finding what works for me. One of the biggest mistakes we make with our clothing, is to think “I can’t wear that!” These ladies show that yes, yes indeed you can wear that! Love the looks and the colors on all these ladies. Thanks, Olivia! All of those ladies inspire me! 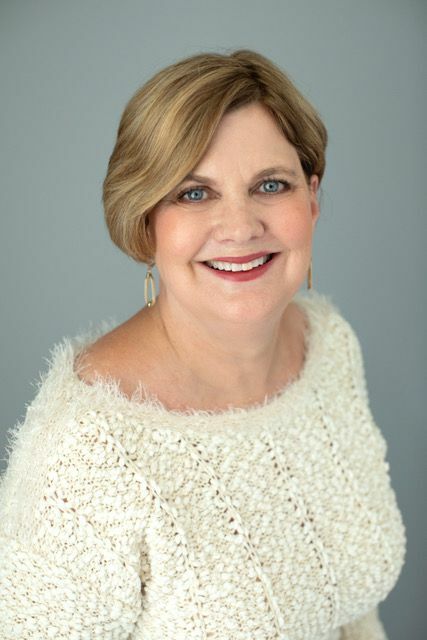 Cathy, I am so honored to be included in your little style posse!! It is great to see what everyone picked. I have also enjoyed seeing you rocking your style picks on some other posts. Thanks, Shellie! I love featuring you in these posts! I have learned so much from you!